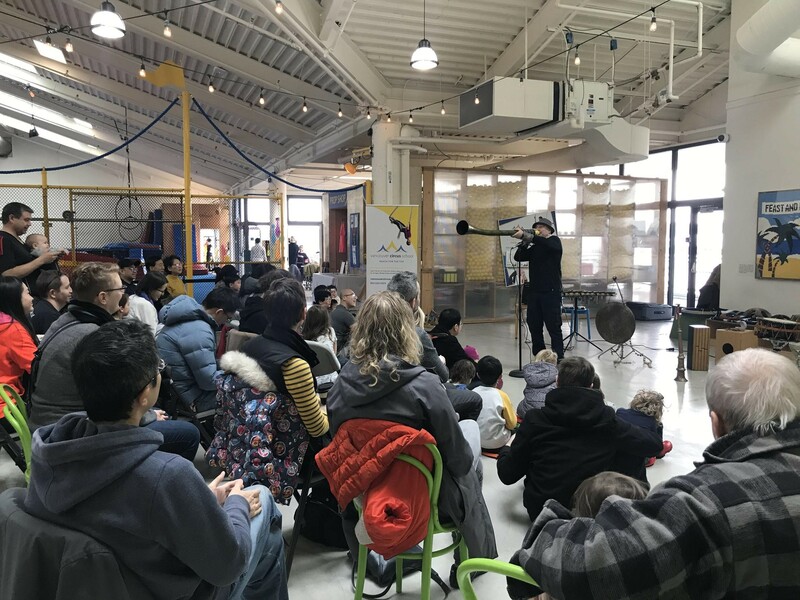 This past February, we had the pleasure of hosting Boris Sichon for our free, family-friendly performance at ArtStarts at River Market in New Westminster. Boris has been studying musical instruments from various different cultures worldwide, and has been practicing and performing for many years. Boris shared his talent by playing a variety of fascinating instruments from his personal collection of over 200! The audience enjoyed an exciting musical journey around the world through 25 different instruments from various diverse countries. His instrument collection included: the Russian bagpipe, Eastern European flutes, the doumbek (a Middle Eastern hand drum), the Australian didgeridoo, the Indian tabla, the Turkish gong, Irish bones, and his very unique 120-year-old Russian xylophone. Each month we offer fun, free performances at River Market for the whole family. Be sure to check out our website to see what engaging activity we have planned! 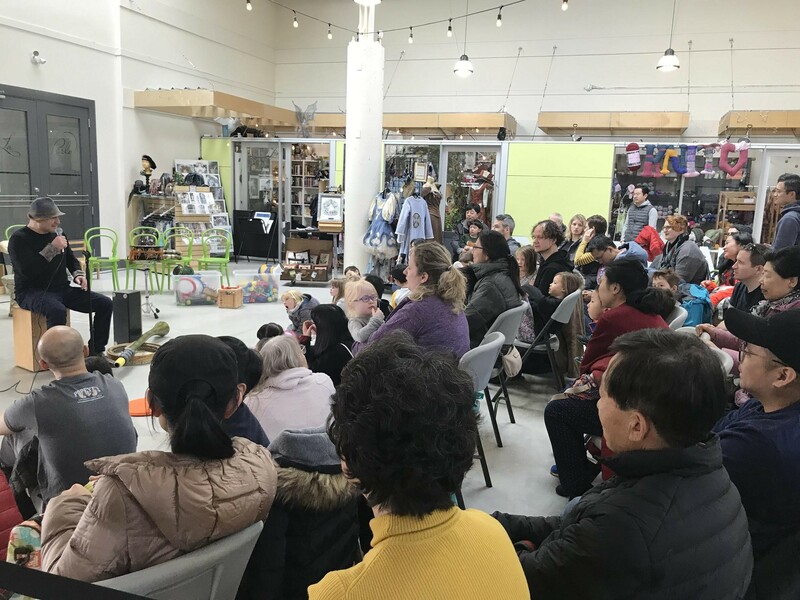 How does ArtStarts keep Family Programs for the community FREE? Our community supporters like you. We could not operate this program without champions like you. For as little as $10/month you can help keep the family programs FREE for everybody. If you too believe that access to art experiences should continue to be free, consider contributing $10 a month. Your gift will be put to use immediately towards the costs of running these arts programs every weekend. Programs like these are proudly supported by the Province of British Columbia and Westminster Savings.